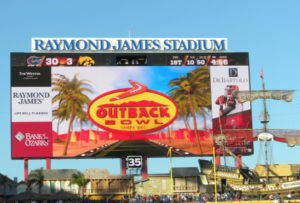 Florida downed Iowa in the Outback Bowl 30-3. 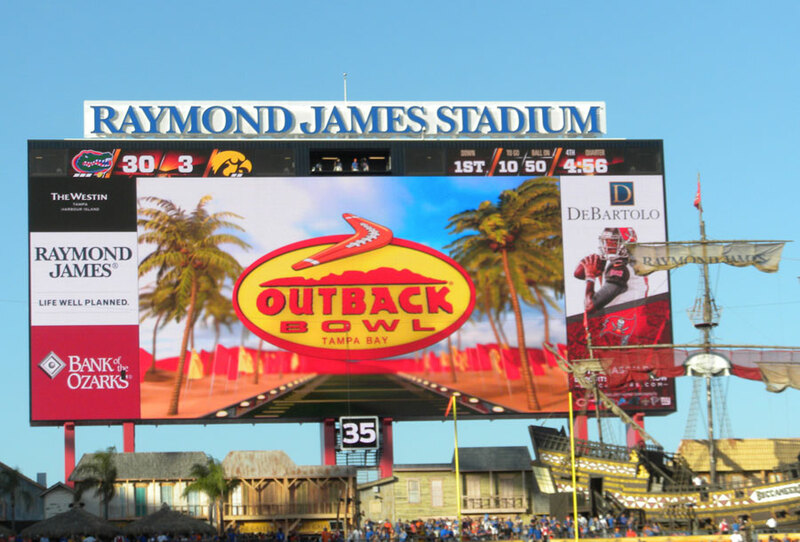 The Iowa Hawkeyes failed to take advantage of early turnovers and Florida was able to make them pay with some big plays, as the Gators won the Outback Bowl 30-3. Iowa Coach Kirk Ferentz said a goal line stand that kept them out of the end zone with 5:20 to go in the second quarter turned the momentum. “Us not converting the fourth and one down on the goal line and then the big play they responded with after that. And to me the third quarter was a big, big swing as well. We drove the ball and came out with no points and then they went the other way. 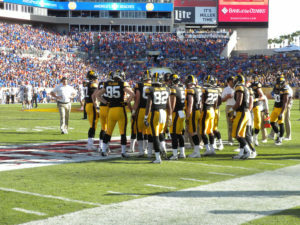 To me that was kind of the story of the whole thing,” Ferentz said. Ferentz doesn’t regret going for the touchdown instead of kicking a field goal on fourth down that would have put them ahead 6-3. 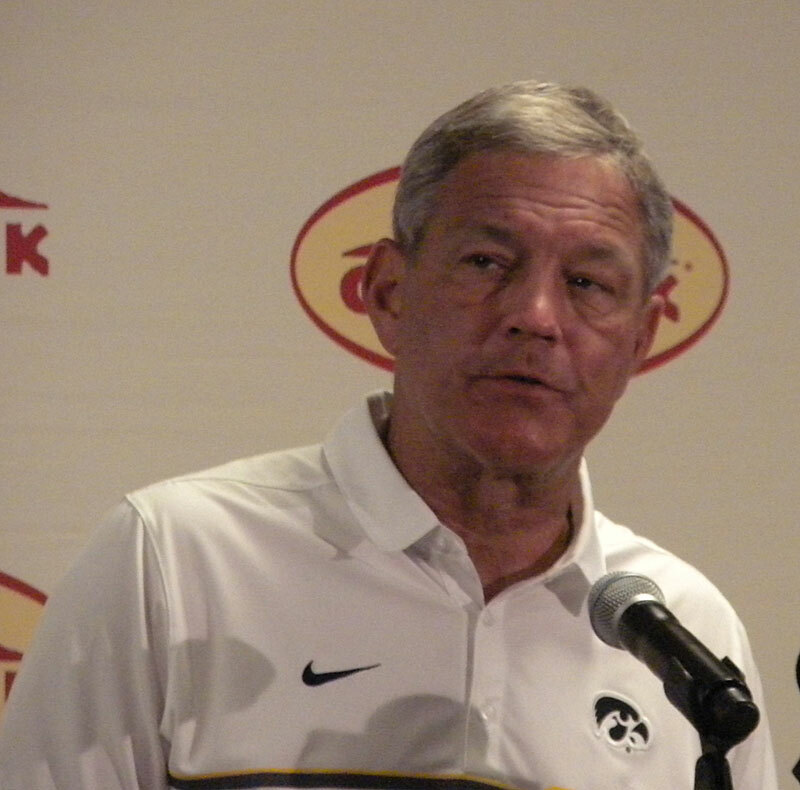 Ferentz says the team had a good run to end the season, but didn’t play well enough to win the bowl game. “Our team has really had a good month, they practiced well, prepared well, and I’m not sure there is a thing I would go back and change. Ultimately today we didn’t play well enough against a good Florida team, so we certainly give them credit,” according to Ferentz. C.J. 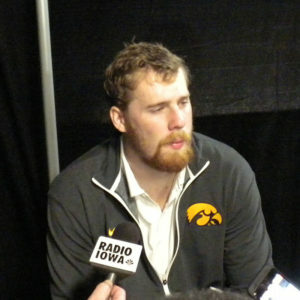 Beathard talks with reporters after the Outback Bowl. Quarterback C.J. Beathard said the fourth and one call was the right one, and he doesn’t regret going for it. Beathard pulled hamstring diving trying to get the touchdown that was reviewed, and the ball was put on the one yard line. He said he didn’t think about coming out of the game. The senior is disappointed he and the other seniors finished their careers without a bowl win. “It’s just tough to process right now, but I think more than anything I am just kind of realizing that it’s all coming to an end. It’s my last game as a Hawkeye which is emotional as it is — whether we win or lose — I am going to miss the heck out of these guys,” Beathard said. Beathard finishes with a career record of 21-7 and the best winning percentage of quarterbacks who started 20 or more games at .750. 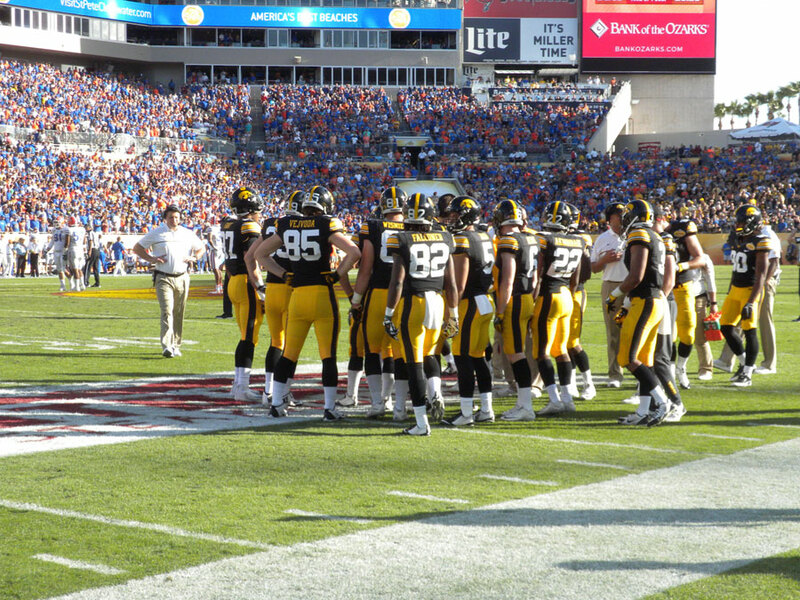 The Hawkeyes’ string of bowl game losses grows to 5.